Purple drank. Sizzurp. Dirty Sprite. Regardless of the name you know it by, you’ve probably heard of “lean,” an often-dangerous drink mixture with soda and high-strength cough syrup. It’s known to produce a “high,” but it can also cause you to stop breathing, increase your risk of seizures and cause you to go experience withdrawal symptoms once you stop taking it. Additionally, it’s illegal in all 50 states. Enter Hemp Bombs CBD Lean. All you need is Hemp Bombs Relaxation CBD Syrup and the soft drink or juice of your choice, and you can create a lean alternative that doesn’t have the health or legality risks that traditional lean brings. CBD Lean isn’t known to be habit-forming, either – while regular lean contains codeine, a highly addictive opioid. Our CBD Syrup is designed to work well as a mixer or taken straight out of the bottle, and it comes in a variety of concentrations. Perhaps most importantly, there’s no known potential for overdose with CBD Lean. Tragically, codeine frequently causes overdose deaths. While pop culture may embrace traditional lean, it can have some serious consequences – which may be why artists like Ty Dolla $ign, J. Cole and Bow Wow have warned against the mixture. If you’re looking for a safe alternative to traditional lean that tastes great and allows you to achieve maximum relaxation, Hemp Bombs CBD Lean is a must-try. 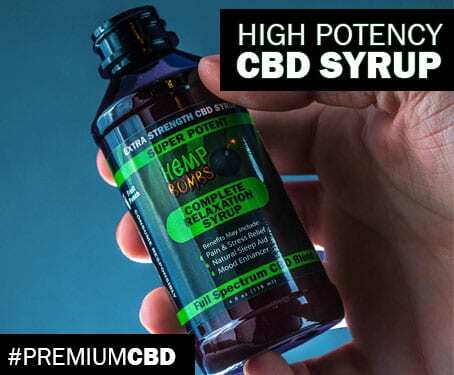 What Is Hemp Bombs CBD Syrup? Hemp Bombs Complete Relaxation CBD Syrup is a powerful concentrate that packs therapeutic benefits into every drop. Our CBD Syrup works well as a mixer and allows you to infuse CBD into your drink of choice. All Hemp used by Hemp Bombs is sourced from premium-grade, organic Industrial Hemp on U.S. farms, and your CBD Lean won’t contain any harmful additives. Additionally, we hire third-party laboratories to test our products for purity and contaminants and publish all results publicly. Unlike traditional lean, CBD Lean is federally legal to consume and across the U.S. In compliance with the 2018 federal Farm Bill, Hemp Bombs CBD Lean is manufactured from the “legal” parts of Industrial Hemp, including the plant’s stalks. Hemp Bombs’ CBD Syrup products have a 0% THC count and are tested by third-party laboratories. What Does "Traditional Lean" Feel Like? As an opiate, Lean creates a euphoric feeling along with the sedative effects of promethazine, another drug in cough medicine. The combination of these two effects can be enough to make someone lean over while sitting or standing. Traditional lean is illegal and can also impair a user to the point that they aren’t able to drive or function as they would normally. The primary danger with codeine is that these drugs can slow down the central nervous system and respiratory system, leading to respiratory failure, pulmonary edema, kidney failure and more. Lean can be fatal when mixed with alcohol and other drugs, but it’s also dangerous on its own – codeine is poisonous in large amounts. As we mentioned, rappers are speaking out about the dangers of lean, and the public is largely becoming aware of its potentially tragic side effects. That’s where Hemp Bombs comes in – our CBD Lean doesn’t include any dangerous compounds and does not contain opioids. Instead, it consists of pure CBD, Passionflower, L-Theanine, GABA and other helpful botanicals. Additionally, CBD has been associated with pain relief, inflammation reduction and an improvement in mood. After taking lean, you are at risk for a multitude of health crises. With CBD Lean, you’ll likely feel better after you ingest the product. What is CBD Lean Made Of? Instead of cough syrup, CBD Lean is mixed with Cannabidiol derived from Industrial Hemp. At Hemp Bombs, our CBD Lean is made from 99% pure American CBD isolate. That means there’s no THC or other Cannabinoids in our products. You’re also not going to be on the receiving end of a “high” – because there’s no THC, Hemp Bombs products don’t produce any of the psychoactive effects associated with Marijuana. Instead of feeling intoxicated or unable to stand, CBD has been shown to make it easier to complete daily tasks. You may feel less pain, lower anxiety and even improved sleep. CBD increases relaxation and calmness instead of producing an intoxicating feeling. 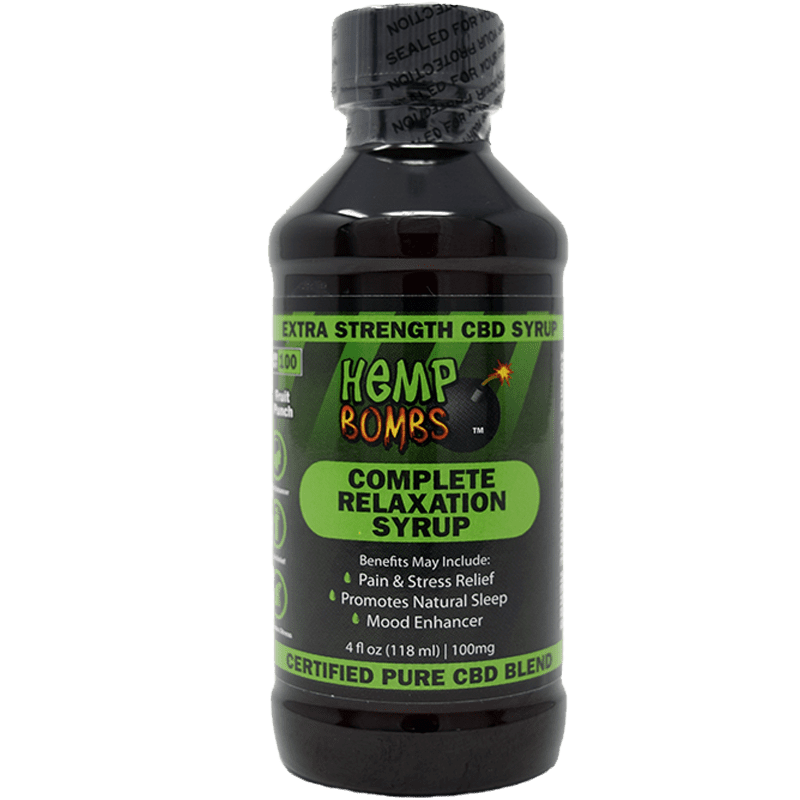 Hemp Bombs CBD Syrup is an all-natural product that mixes well with other drinks and provides a health lift for your life. CBD Lean is a far cry from traditional lean – shop our CBD Syrup now.